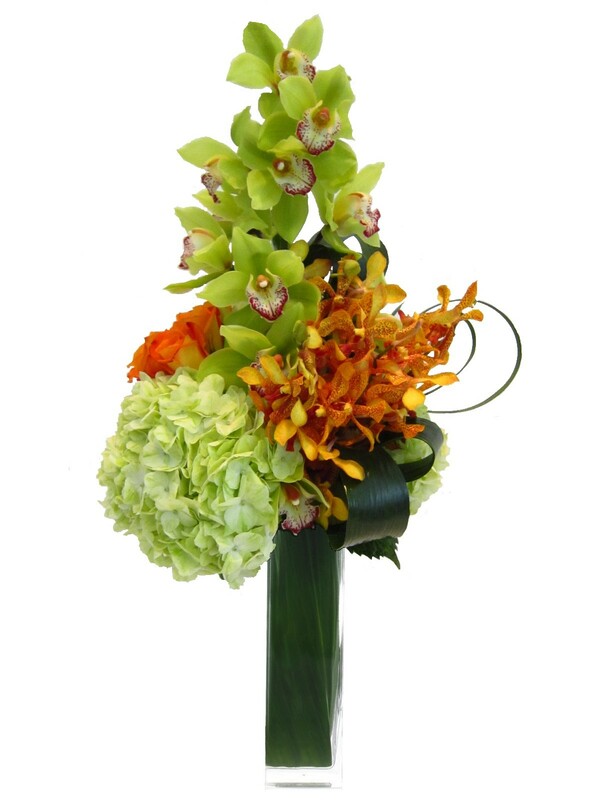 We had the pleasure of sending this arrangement to New York Magazine. We mixed roses, mini cymbidium orchids, hydrangeas and thistles for their diverse textures. 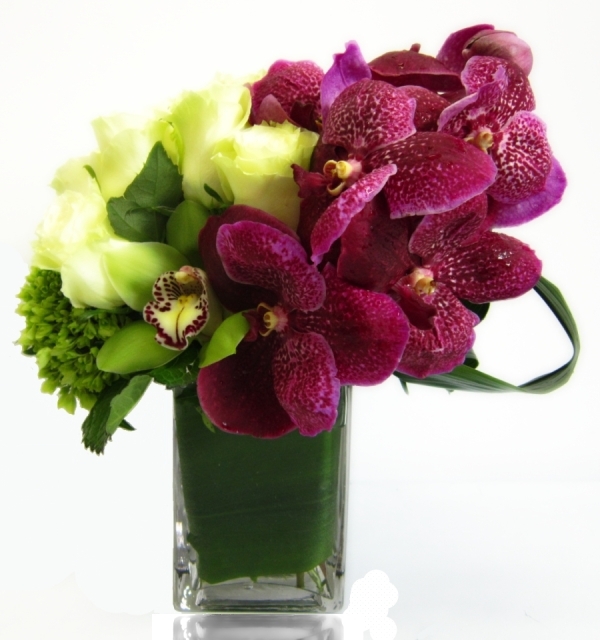 We also loved how the red cymbidium orchids became the focal point because of its rich color. Hope your day was as rich and colorful as ours! Hope everybody had a wonderful Thanksgiving! 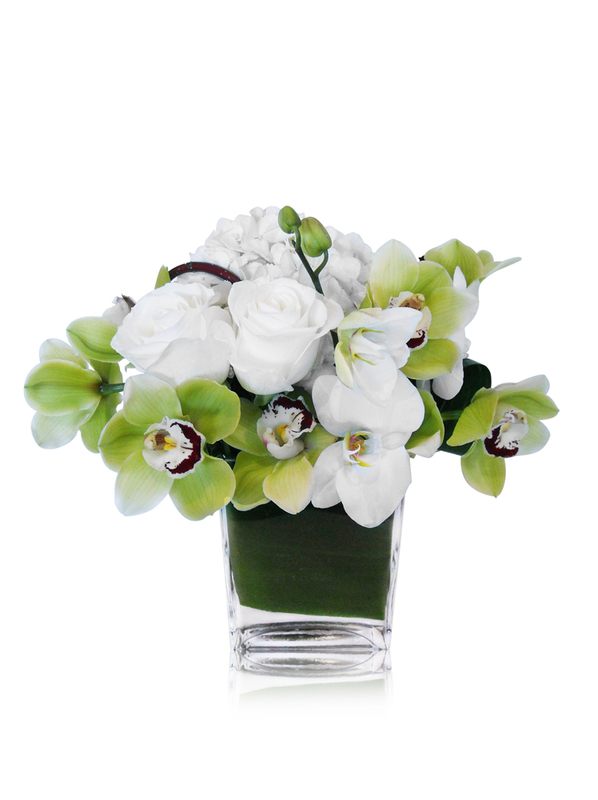 This arrangement was created today for one of the directors at People en Espanõl. 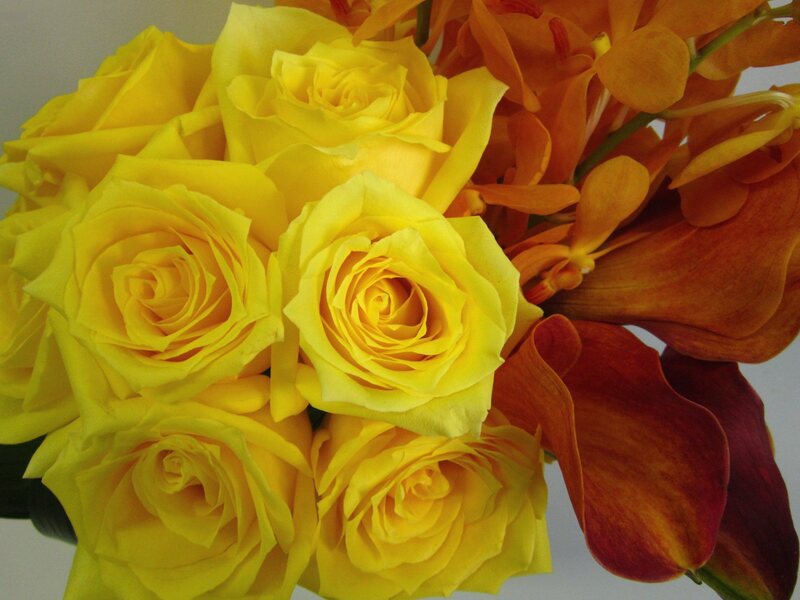 We found the color of these pale yellowish-green ‘Mondial’ roses quite refreshing. The fuchsia color Vanda orchids formed a strong diagonal line to create some movement to the composition. We hope everybody has a fresh and strong start of the week! 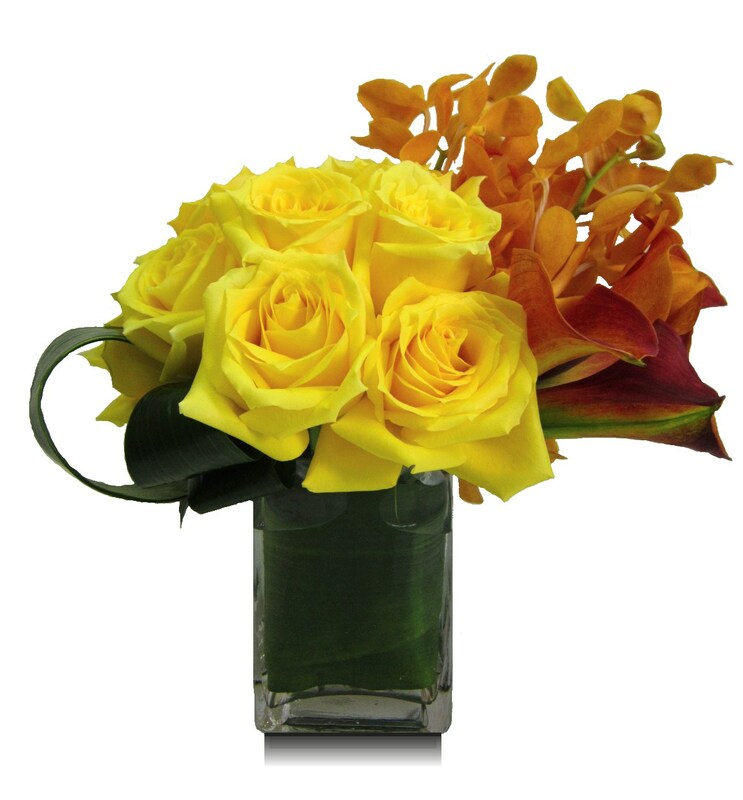 We sent out this arrangement from our Fall Collection today. Our customer told us he would bring this arrangement to the Thanksgiving dinner tomorrow. We certainly want to thank him for the order, but we also want to thank all the people, our dear families, friends and clients, who have been so supportive of us! We feel very fortunate. Here we would like to wish everybody a Happy Thanksgiving! We created a bouquet for a friend, who wanted to cheer up a couple of friends of his. 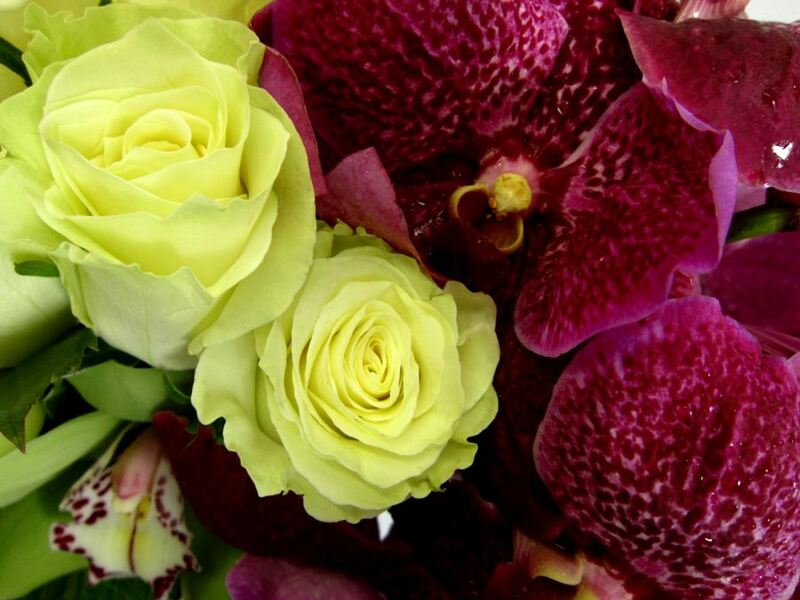 We combined the bright green cymbidiums, hydrangeas, yellow mokara orchids and some orange roses, called ‘Miracle’. We believe this happy color scheme did the job! !